I ordered the Personal Songbird as I found it on Viking at a very low price. This is just a start, as I want to make sure that I do use it and that it would be worth the money. 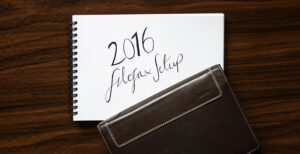 I would eventually like to buy a nice leather one, but those are too expensive right now, for a first Filofax. Anyway, I am very happy with it so far! It’s pretty, and I think Personal is the perfect size. I would maybe get an A5, but I don’t think I could go smaller. Not very pretty yet – I’m going to make some nice dividers when I can, to make things look better! In the pockets I have my library card, and my pin for that. Tucked in the back pocket are two receipts from Rymans (that I got yesterday and today! ), and with those are leaflets with a competition on them. You have to use a code on your receipt to enter, so I’ll be doing that when it opens! So my first section is going to be ‘Information’. This will be all sorts of information. I’m going to add some personal info in there, but then I’m also going to add some cooking conversions, weight conversions and stuff like that. Just everyday useful information. So my next section after the diary is going to be ‘Fitness’. I used some templates that I found online to create a table to track exercise. I’m pretty pleased with it. There’s a section for the date, and then there’s a strength column, cardio column, and then columns for things like reps, weight, miles etc. There’s also a notes section to reflect. In this section I will also add some printed exersises, tips and stuff like that. My next section will be ‘University’. I start in September. I used another template to make a ‘Project Planner’ page. Here I’ll be able to write down any essays/projects that I have, and some notes for it when I’m out. And then here’s the back with the notepad. I’ve just got a colour code system on there right now, and that’s what I’ll be using in the diary. And well, that’s it so far!